MASVINGO- The most supported football club in the ancient city Masvingo Utd also known as Una Una by its legions of fans has been handed tricky opening home fixtures in the Eastern Region Division 1 league which begins next weekend. Una Una will begin their quest for a return into the top flight Castle Lager Premiership by dating unpredictable Mwenezana FC at their fortress, Mucheke Stadium while newly promoted outfit Chiredzi Stars FC will tussle it out with well-funded Bikita Minerals FC at home as well. The following week Una Una host fellow Masvingo Province outfit Bikita Minerals who finished a respectable fourth last season before dating Chiredzi Stars FC from the low veld in a game that promises fireworks if the two teams’ preseason preparations are anything to go by. In week four the former Busmen make the 298km journey to the eastern highlands for a date with former Premiership outfit Mutare City FC aka Gusha Bhora at Sakubva Stadium. 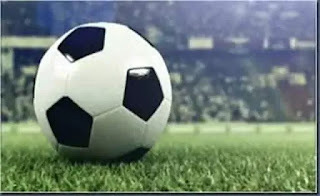 Zimbabwe Football Association (ZIFA) Eastern Region Division 1 has released the 2019 fixtures with games set to commence next Saturday April 6, 2019. The 16 team league comprises of teams from Masvingo, Mashonaland East and Manicaland provinces and The Mirror is possession of the 30 games fixtures. Chiredzi Stars will play against Bikita Minerals in the first week, Tenax Stars in week two and Melfort in the fourth week. Eastern Division 1 coaches contacted by The Mirror said they are ready to compete and win the regional competition and be elevated to the Premier Soccer League. Una Una coach, Shadreck Maguraushe said his team is ready to clinch the sole ticket to the promised land. “We are raring to go as we are prepared to face any team in the league, we have been working round the clock in preparation for the season and the boys are more than prepared and motivated for duty,” said Maguraushe.